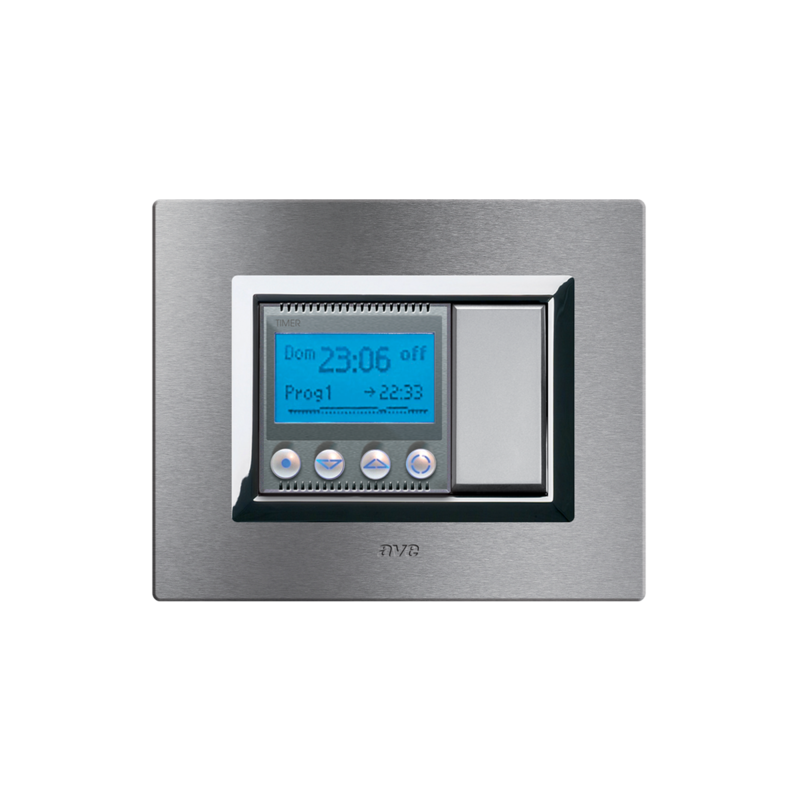 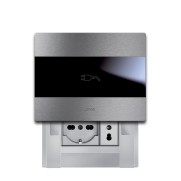 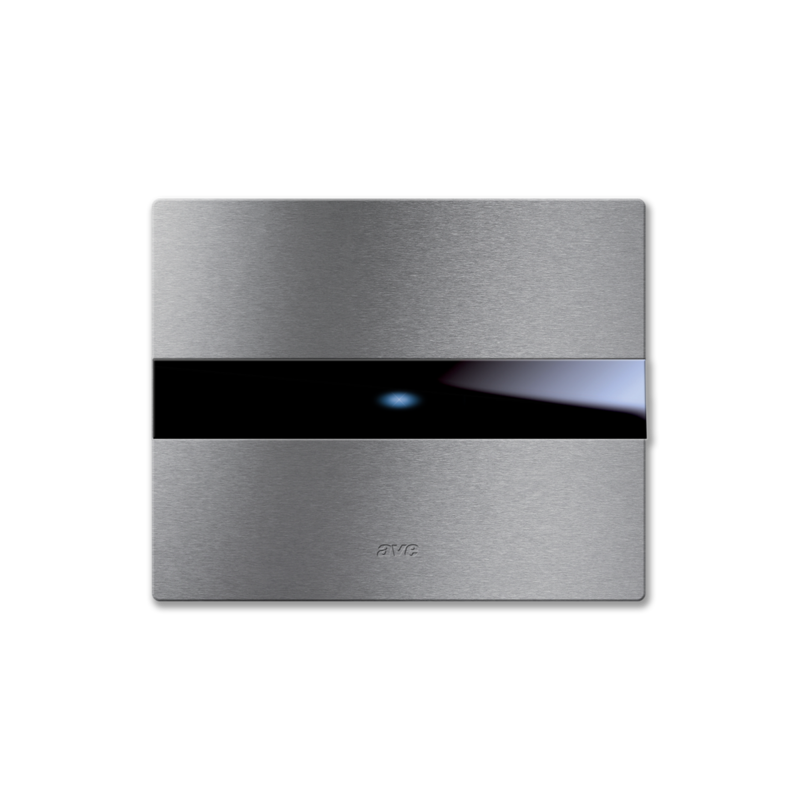 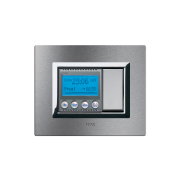 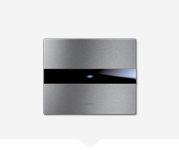 The technology merges within the metal of Allumia Touch front plates. 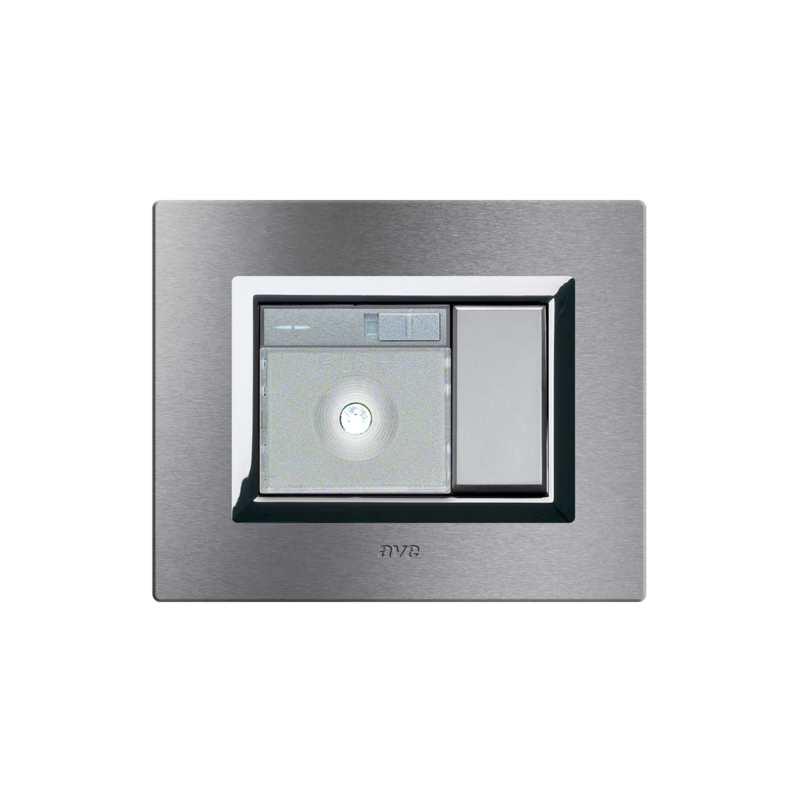 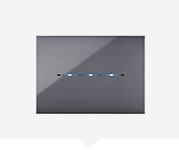 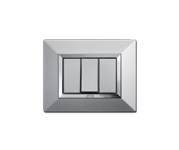 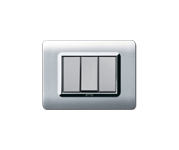 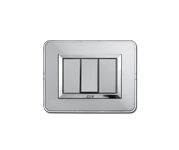 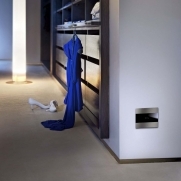 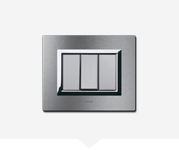 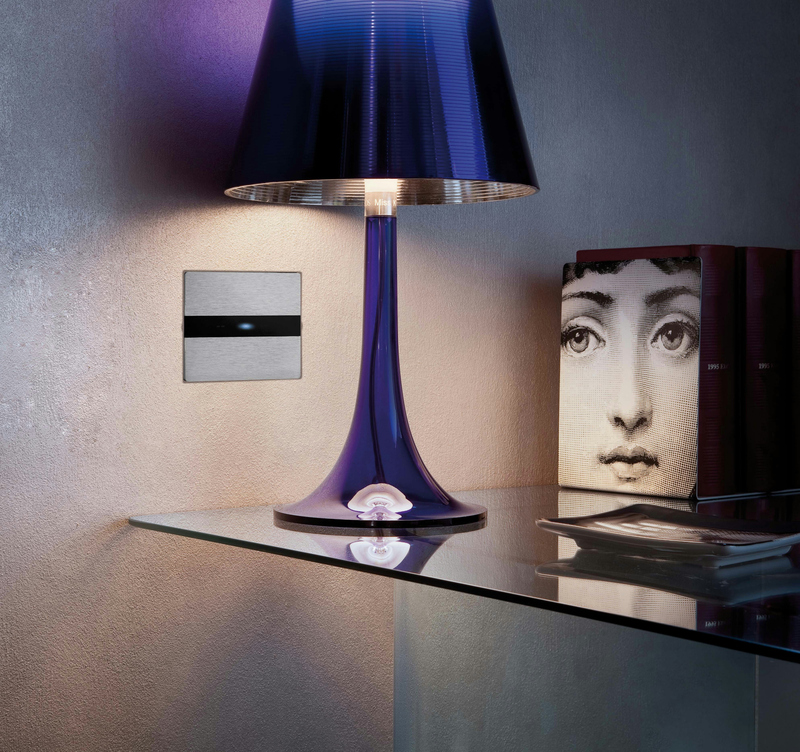 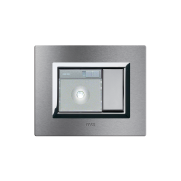 The aluminium plate for light controls has a horizontal black stripe that shines a delicate LED light. 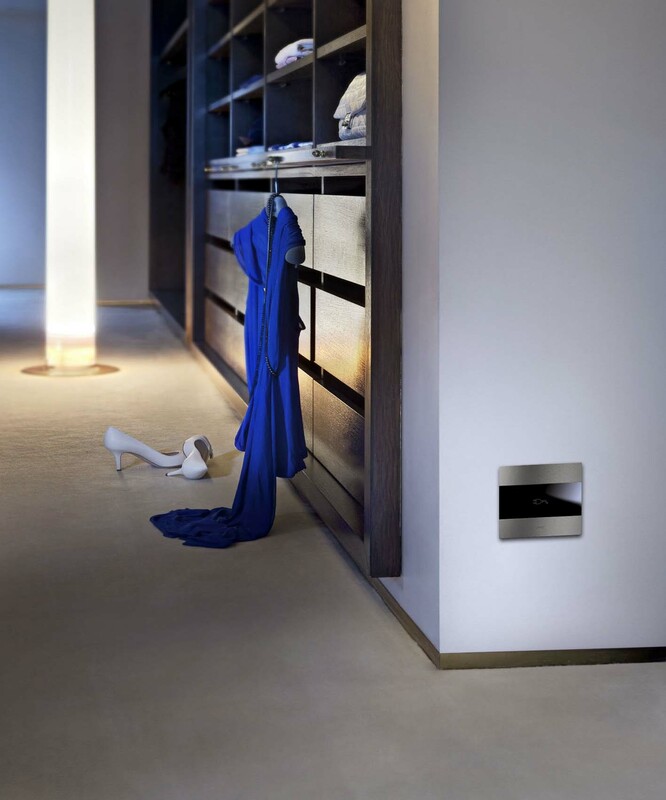 As well as being instantly recognizable in the dark, this light gives a touch of aesthetic elegance. 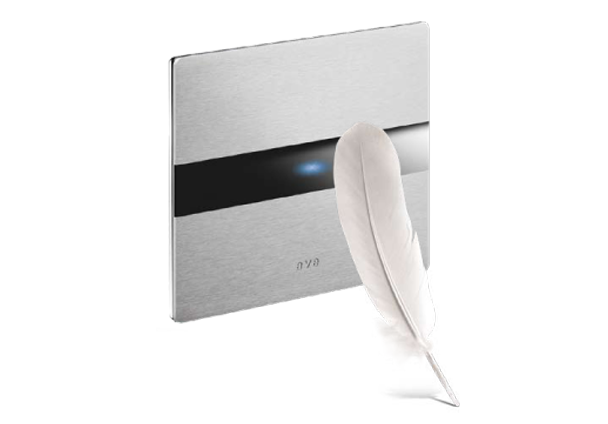 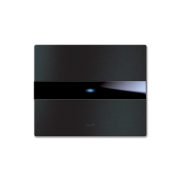 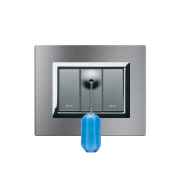 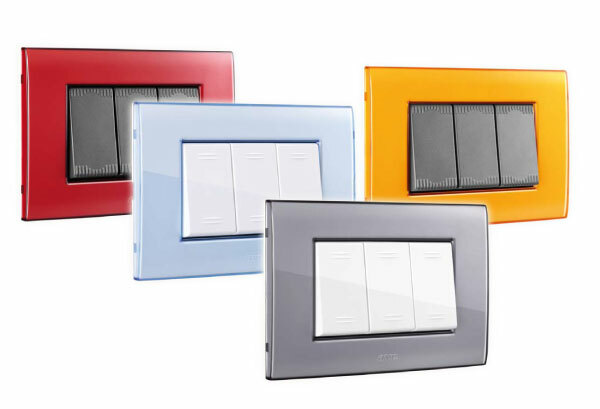 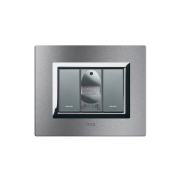 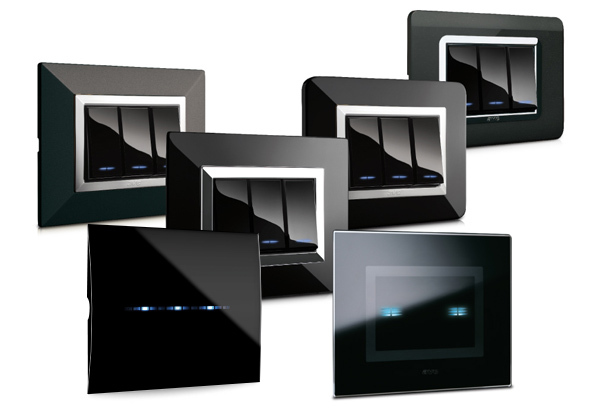 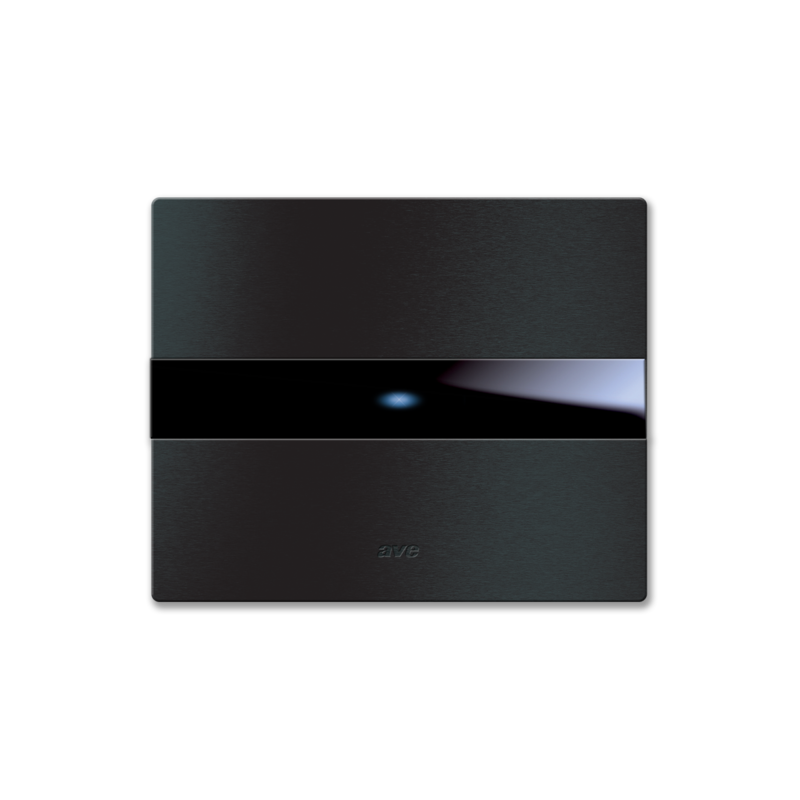 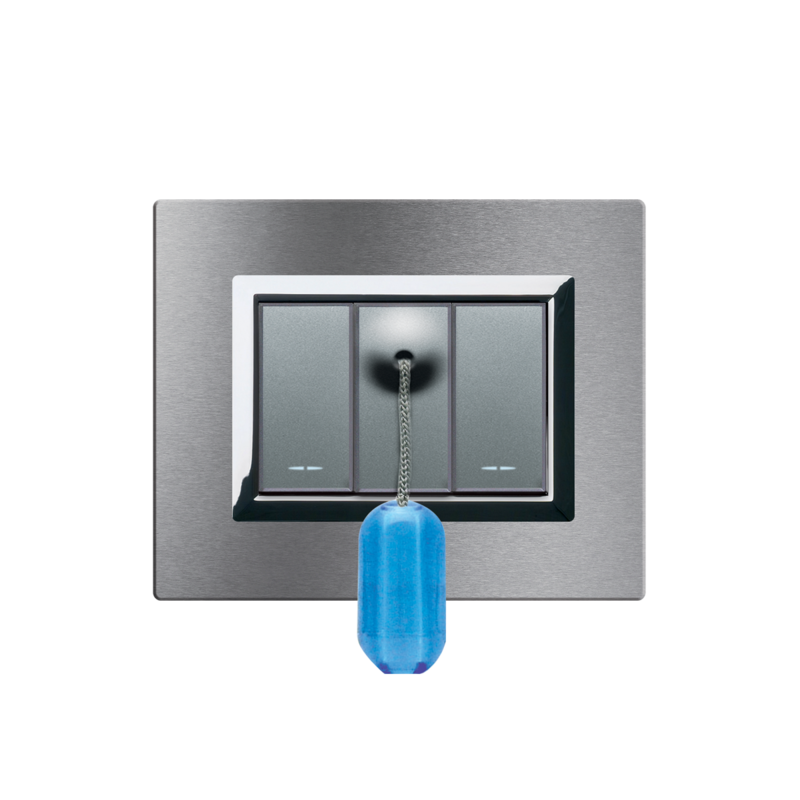 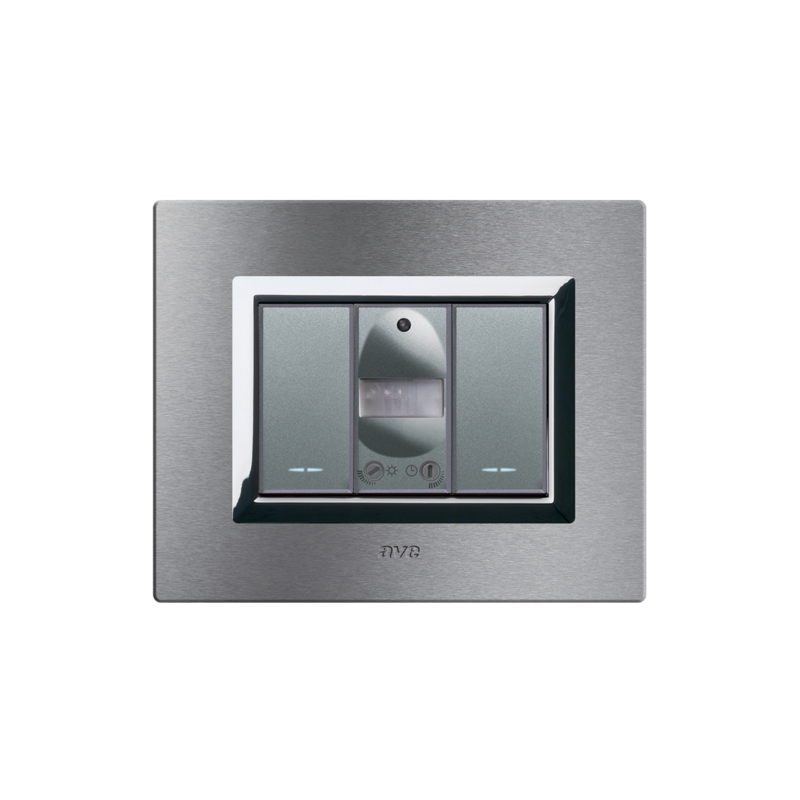 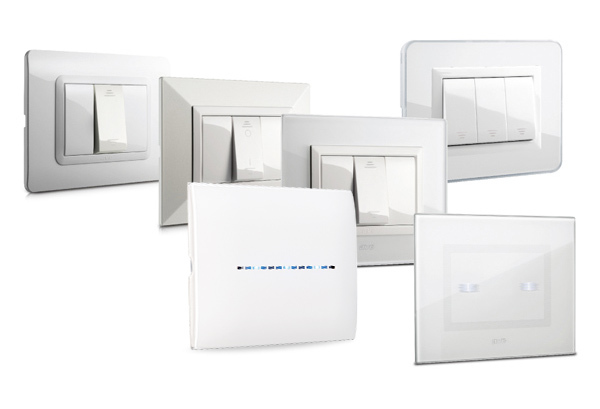 Available in traditional version or home automation one, Allumia Touch controls redefine the concept of switch, allowing you to manage the lighting and your home by simply touching a surface. 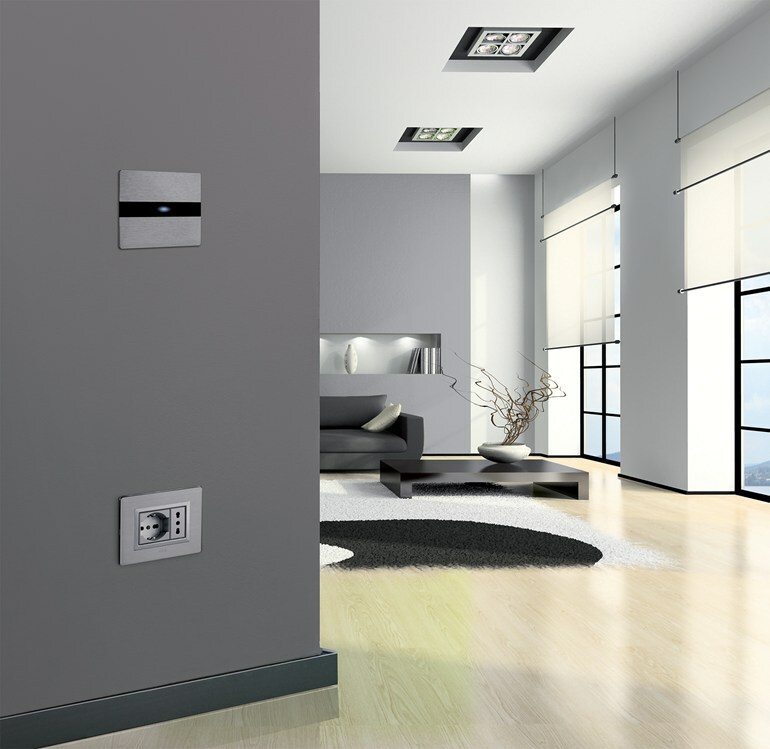 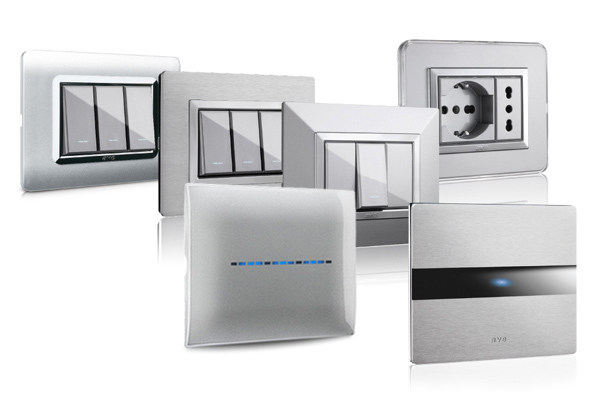 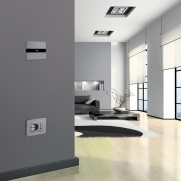 Thanks to an exclusive patented system, the sliding plates cover the outlets making your home a safer place.